This is why you don't take a retired racehorse out for a leisurely stroll. 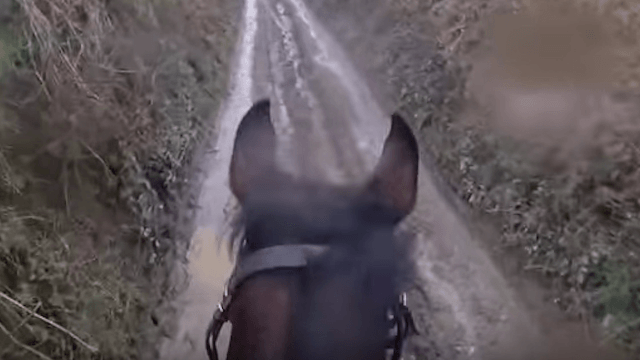 A relaxing trot in the country took an exciting turn when Shamrock, a retired racehorse, decided to take one last victory lap much to the fright of his rider, Nick Bull. Luckily Bull captured the surprising bolt on his GoPro. The result? Hilarity and a few cuss words. You're going to want to put the volume up for this one. Bull managed to hang on for about two minutes before Shamrock eventually threw him from his back. Neither the horse or the rider were injured, but Bull's ego may be a bit bruised.